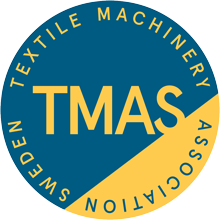 We are a leading manufacturer of textile machinery for fully automated production lines for quilts, pillows and bed sets. From fabrics to finished packed product. The company’s goal is to increase profits for our customer through machines and production lines that make the process more efficient and to simplify the daily work for our customers. ACG Kinna Automatic offers a wide range of tailor made machinery and production lines, mainly for the home textile industry, worldwide.